These skulls are ready to rock! 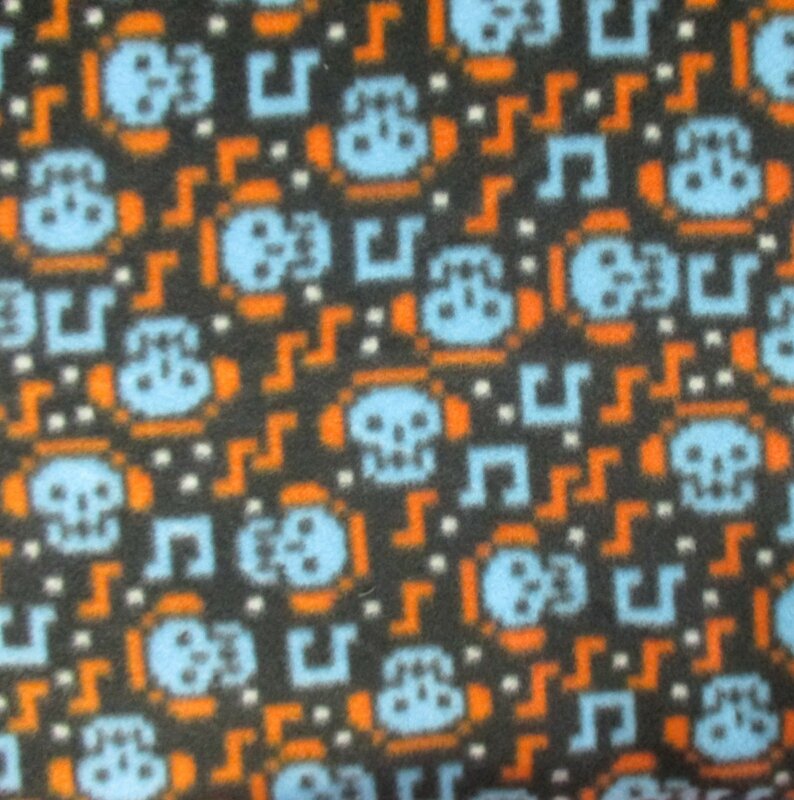 Light blue skulls with blocky musical notes are an awesome combination! 100% Polyester. 58"/60" Wide.